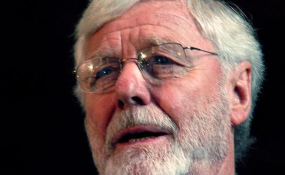 Good, kind, decent, insightful: these are the adjectives most frequently used to describe Alex Boraine, who passed away in Cape Town on 5 December at the age of 87. Boraine, the man credited with the concept of the Truth & Reconciliation Commission, devoted most of his adult life to the quest for meaningful democracy in South Africa. Alex Boraine's name and reputation became so tied to the Truth & Reconciliation Commission in South Africa that it is easy to forget that his work at the TRC was one of the later acts of a life committed to public service. It was as a man of the clergy that Boraine began his public life. Ordained in the Methodist Church in 1956, he would become the youngest ever President of the Methodist Church of South Africa (MCSA) in 1970.